Caspar Meuser (1550-1593) was an apprentice of Jakob Krause, serving from 1574 as his successor in the court bindery. He used the panels and stamps designed by Krause, but evolved his own style, characterized by profuse vinework. 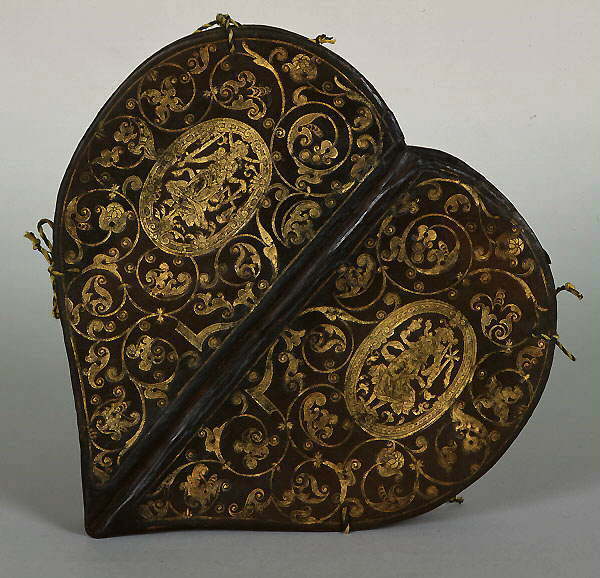 This heart-shaped prayer book, designed for Anna, the wife of Elector Augustus, is a particularly fine example of his artistry. Is any detail of the binding methods given? I'd love to give this one a go! !